Museum of the USSR is the private institution, which was established a month ago. Apart from various Soviet-themed museums around the world, it is not dedicated to the negative aspects of Communism. Vice versa, its goal is to bring back nostalgic memories of not-so-distant past. Highlights from the displays include items from the Museum’s own archive as well as material obtained by the organisers from private collections. 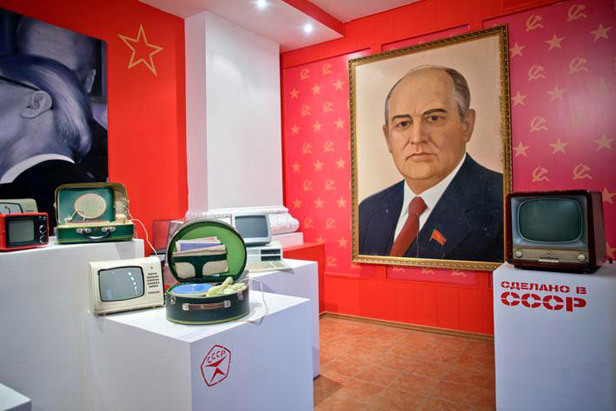 This is the first museum in Moscow exclusively devoted to a everyday life in the former Soviet Union. There are also two comparabale museums in two other major Russian cities of Novosibirsk and Kazan. The All-Russian Exhibition Center is a complex of buildings in the center of Moscow. The center serves as house to some of the most important Russia's monuments. The center has seven other museums, which are important representatives of the Russian culture.